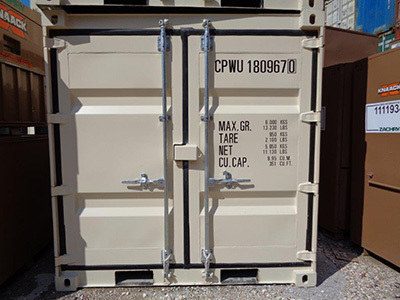 8' 6' 7" 6' 4" 7' 6" 6' 3" 5' 8" 6' 3" 5' 4"
Our smallest container size is very portable and easy to handle. It provides enough space for local users to transport their household or industrial items in a sturdy, heavy duty container. The 8′ container is a good safe mobile storage unit. This size has the capacity to hold everything from tools, furniture to a grand piano. While only getting 8 feet to work with, this container, new or used, is the most realistic option for a small amount of cargo.